My Memphis Flood Interview with BBC World Tonight - JP loves LIFE! 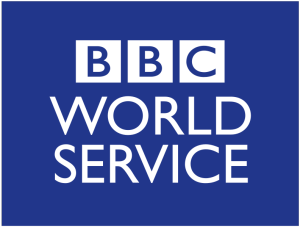 I’m a journalist with the BBC World Service in London. We are interested in talking to some Memphis residents about the flooding. Could I possibly give you a call ? I have to say, when I first read it, I had to think it was a practical joker pulling something on me. (And yes, I have lots of friends who would easily fit the description!) But I checked around a little, then replied and next thing I knew I was talking to someone at the BBC in London. I went on to the Mother’s Day lunch & visit to the River and returned home for the interview. We talked about flooded sidewalks, streets, parks and homes in Memphis as well as how strange it is to have sunny days and the water still rising. A few folks have asked about it, so here’s the MP3 for you to listen to if you like. Thanks for this post! I listened to the interview and it’s very endearing- thank you for sharing your thoughts and experience. I love the historical perspective, as well. Keep us posted! -Brook at http://www.drowningislands.com. I was interviewed by the BBC in 2006. I’d just moved here from DC (although I’m originally English), and I’d experienced my first tornadoes. 2006 was a bad year round here and I left a message to that effect on the BBC news website story about it. Thanks! I appreciate knowing others in Memphis think I did ok. Funny you mentioned the fact you had no idea how strong your accent still was. My mom has kidded me since I was a child about how fast mine changes when I’m talking to someone with a different accent. She even joked about the fact I made it through the conversation without taking on the British accent from the interviewer! Wow that is a great opportunity to be heard and share your experience. Thanks for sharing. Have a great weekend! How cool is that! I’m really proud of you, and always impressed. Thanks cuz! Its kind of fun.